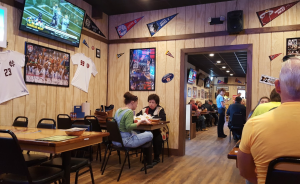 Let these local Henderson, Kentucky restaurants host you and your friends to watch the Super Bowl! You can’t beat these pizza and buffalo wings spots! Each of these restaurants will be open on Super Bowl Sunday and have tv’s available to watch the big game. Continue reading to see which restaurants are offering amazing deals and discounts on food. 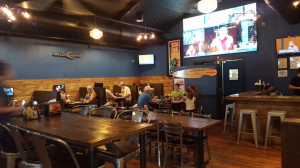 This family-friendly establishment has great river views and a great downtown atmosphere. It is the perfect spot for families to dine, too! Grab a table for the family or a couple seats at the bar. Send the kiddos to the arcade room with a hand full of quarters and get in the football watching zone! Visit Rockhouse on the River’s Facebook page for exclusive Super Bowl Sunday deals! Sports is a tradition at Mister B’s! 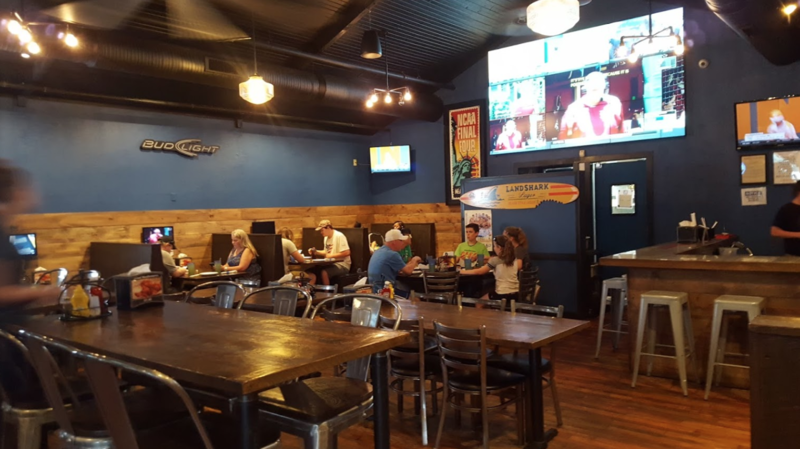 If you truly want the best screen experience, Mister B’s has a sports themed atmosphere and is packed full of tv’s, as well as a large projected screen! This spot is great for die-hard football and sports fans. Known for pizza and wings, Mister B’s has been delivering their great wing recipes for over 20 years. Kids can escape to the arcade room while the parents watch the big game. Food can be prepared for carry-out here, too! 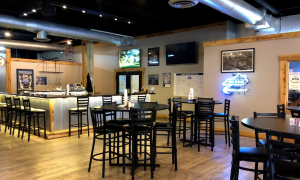 This restaurant is close to Evansville, Indiana, just right across the river located on 41 N.
There is something great to say about Firedome’s one-of-a-kind taste. The wood-fired wings are definitely a Henderson favorite. Some locals even say they have the biggest buffalo wings… you will have to find out for yourself! Their location is right off of 41 N, which still makes for a quick trip to and from Evansville. Can’t decide if you want pizza or wings? 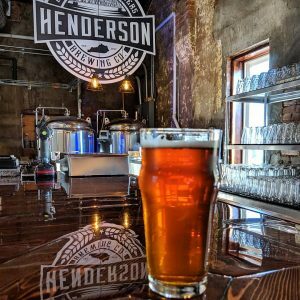 Order carry-out food from your favorite restaurant or and dine at the Henderson’s craft brewery, Henderson Brewing Co. Hendo Brew Co. has a laid-back family-friendly (and dog-friendly) atmosphere. This cool hang out spot will be streaming the Super Bowl on game day, and having fun contests after each quarter! Check out Super Bowl Party on their Facebook page! Food trucks will be at this event also! Contact Info for Henderson Brewing Co. Looking for a unique bar-scene to watch the game? Algonquins is another great spot to cheer on your favorite NFL team. 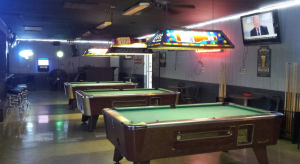 If you aren’t into watching Super Bowl commercials or the half-time show, start up a game of pool with a friend. Locals’ food favorites here include pizza and burgers. Try out this off-the beaten-path for some southern libations and great times! One of the newest spots on our list to grab food and watch the game is Wings Etc. Grill & Pub. This spot is also close to Evansville and located on 41 N. This place has a great sports-fan atmosphere and is promoting on of the greatest deals on food for Super Bowl Sunday! Wings Etc. is offering two free sides with a pre-order for 50 wings! If you have never tried Wings Etc. wide variety of hot sauces, now is the time to give Wings Etc. a try! Contact Info for Wings Etc. Try some other local Henderson dining spots, visit our dining page to check out more options!